Whether homebuying dreams include a wrap-around porch or space to entertain, Arizona’s active adult community On the Greens puts fab back in prefabricated. Far surpassing the manufactured homes of yesteryear, outstanding craftsmanship paired with a spectacular setting takes “mobile home” to a resort style level. Set between Mingus Mountain, and the rust-hued rocks of Sedona, not only do these custom homes rival their brick and mortar counterparts, but the engaging all-inclusive lifestyle makes this a fantastic option as a primary residence or a snowbird retreat. An idyllic location for 55+ residents to live at their own pace, this close-knit community features a collection of pre-owned and new home models, with options for 2-3 bedrooms, 2-baths, and spacious garages or carports. Architectural details such as nine-foot ceilings, granite countertops, recessed lighting, and elegant crown molding, give a modern yet timeless look to each floor plan and age-friendly features including generous entryways take the hassle out of future renovations. From workouts in the fitness room to celebrating happy hour, this exciting community is also a one-stop-shop for getting a massage, a new hairstyle, relaxing in the library, or challenging peers at the executive level Coyote Trails golf course. Soon to come will be a bocce and pickleball court to fire up the friendly competition. 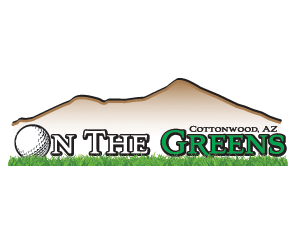 On the Greens makes home ownership an affordable reality with competitive lot rental rates and gives potential buyers the chance to stay and play with a complimentary overnight hotel stay for the ultimate VIP pass!